Known as the Autism Welcomed Mat for Autism Families…….The AUTISM WELCOMED DECAL ©2013 Is a unique symbol "Helping Families Living With Autism Feel Welcomed in Public Places Today, Tomorrow, & Every Day After" (Opening Doors, Opening Hearts, And Creating Smiles) This Unique Symbol's Purpose is NOT always Sensory Friendly; However, These "every day places" will ALWAYS be Welcoming Friendly by offering Autism Acceptance, Kindness, & Support as well. So if you're ready to "Rock their Autism World with Unconditional LOVE & ACCEPTANCE?" This is the Symbol to Follow #AutismWelcomedDecal "Hug You Soon!" – Created and Designed By, Angela Hart (aka) S.M.A.A.R.T.Mom (PLEASE NOTE: There is NO PROFIT made from the Decals. The cost of the Decal ONLY covers the making of the Decal itself.) This is not an organization, group, or charity and I AM NOT ASKING FOR DONATIONS. Call me Crazy, but I'd Rather Create Smiles :) This decal is simply a "symbol" expressing that YOU are there for families living with autism and autism individuals on a day to day basis. Have you Welcomed Autism Today? ( ATTENTION: Autism Families, please know that some of these places may be Loud, Bright, or Even Crowded. The idea is to Feel Welcomed , but at the same time to help our special guys/girls learn to cope and withstand those things while in many public places. So with the help of these WONDERFUL People and Places they have shared their Smiles with the Autism Welcomed Smile. This heart-felt "Symbol" expressing one thing…. " Autism Families, We know it took Courage to come out today,We Understand, & We've Got Your Back!" ) ONE MORE THING :) Attn: Individuals with Other Disabilities. Regarding some of the places who are offering Autism Welcomed Events ; Although these are Autism Events, I still would like to let you know that REGARDLESS of YOUR disability…you are more than welcomed to join us. This especially, includes siblings. After all, We All KNOW Challenges first hand, Don't we? ((( Each place that gives the decal a home and sends me their picture, logo, comment, etc has done this with approval of Mgr./Owner/Corporation and by sending their AWD Photo with the decal they are aware of the purpose of the picture/video and concede that I will own the rights to these images for this purpose only in addition to receiving their AWD Photo/Video copy. The places that have shared their Smile Pictures are NOT AFFILIATED with the Autism Welcomed Decal. Also, Most of these places may not be Sensory Friendly; the purpose of the decal is to be "Welcoming Friendly." The Places found here are simply compassionate people that have opened their hearts & doors to our special families so that we never have to feel alone in our daily autism lives. ))) 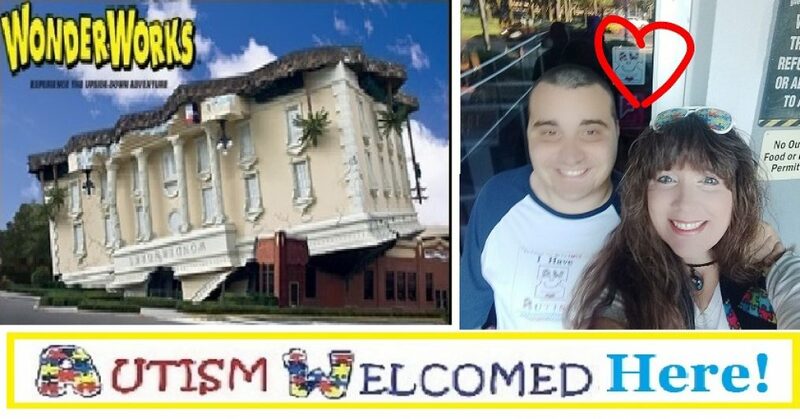 " I can't help but Smile myself, when I see the Autism Welcomed Decal at the entrance of a place Smiling back at me with that comforting smile on the symbol that simply says, Autism Welcomed !"